At the Planer & Sherlock P.A. in Gastonia, North Carolina, we represent individuals in North Carolina and South Carolina in the areas of bankruptcy, family law, business law, estate planning and personal injury. 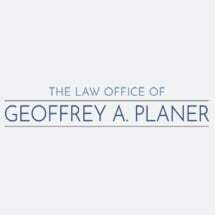 We have served clients since 1974, establishing a reputation as an accomplished attorney who combines a passion for the law with a personal approach for every client. The result is highly effective legal counsel delivered in a friendly, caring environment. Mr. Planer and attorney Matthew Sherlock both offer extensive experience in bankruptcy and family law, two practice areas that frequently intersect with life events and leave their clients nervous and uncertain about the future. Both lawyers bring a comforting approach to their work, providing each client with a thorough explanation of the process he or she will encounter, and completely reviewing short- and long-term ramifications of the decisions that must be made. We take a solutions-oriented approach to our cases, striving to resolve them efficiently and cost-effectively. Our main objective, however, is to place each client in the best possible position financially and emotionally following the resolution of their legal matter. If this requires litigation, we are trial-tested lawyers who prepare meticulously for court and have the positive results to show for it. We welcome the opportunity to discuss your legal issue with you and answer any questions you have. Our law firm offers a free consultation for bankruptcy and personal injury clients. The nominal fee that we charge for other practice areas can be applied to any services we provide if you choose to have us represent you. Call 704-864-0235 to schedule a meeting in which we can review the facts of your case and recommend the best steps to take.